The Society of Motor Manufacturers and Traders has released its monthly new car registration figures, which show that the new car market expanded 14.8% over April 2012. The UK new car market outperformed the rest of the EU and, following a positive first quarter the SMMT has revised its full-year forecast upwards to a total 3% increase over 2012. "The UK new car market continues to perform surprisingly strongly, with volumes again increasing in April. While the headline increase was up almost 15% there were more sales days this year than last," said SMMT Interim Chief Executive, Mike Baunton. "The UK continues to perform well ahead of the troubled Eurozone as consumer confidence, regular purchase cycles, attractive finance deals and wider market factors continue to make new car buying favourable for motorists." There was a fairly even split between petrol and diesel sales, plus a rise in the number of private new car registrations (as opposed to fleet and business registrations) over April 2012. However, while the UK new car market is recovering it is still 12.3% behind the pre-credit crunch 2007 full-year total. Click through the gallery below to see the bestselling cars from April 2013. 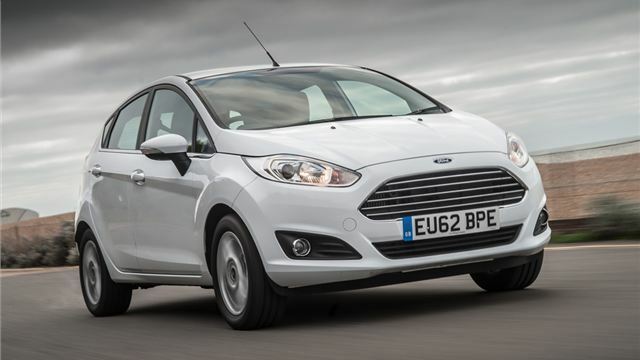 The Fiesta has topped sales charts almost every month and every year for quite some time. Following a fairly substantial facelift at the beginning of 2013 it has retained its popularity and takes the number one spot for April, having outsold its closest rival by 1999 cars.